Tag Heuer glasses are created with the most advanced precision technology. Tag Heuer designs are unique in the sunglasses and graduated market. Each year the brand creates new collections that are very faithful to its traditional designs. Unique glasses with details such as invisible hinges or straight rods that fit perfectly to the shape of the head. 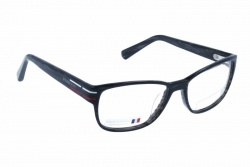 Tag Heuer glasses are made with the best materials, they are very light and resistant. Titanium, carbon, or elastomer are some of the materials in your glasses. The Tag Heuer designs are ergonomic and fit very well to each person's face. Tag Heuer sunglasses have the highest quality lenses, which provide a clean vision with a unique vision of colors and details. 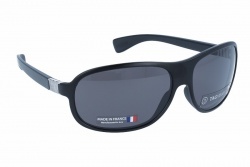 Tag Heuer sunglasses have a 100% sun protection and most of their lenses are polarized. 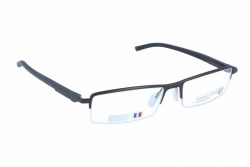 Tag Heuer glasses are highly valued especially within specialized sports sectors. Users who demand high performance sunglasses to help them make a difference. Tag Heuer sponsors every year major sporting events around the world, where their glasses and watches with a very important tool for athletes. Undoubtedly the purchase of a Tag Heuer glasses is a safe bet for a quality product. The company has its factory in France and has bet since its beginnings by the quality products. The company was founded in 1860 by Edouard Heuer in St-Imier, Switzerland. Since then Tag Heuer has opted to create highly engineered products. The company is known for its high precision watches and for many years now has been betting heavily on the glasses market. Tag Heuer has received recognition and prizes from the optical sector, such as the Silmo d'Or, among others very prestigious. At OpticalH we make it easy for you to buy your Tag Heuer glasses at the best price with free shipping. Our professionals will be able to advise you at all times during the purchase process so that you choose the most suitable glasses for you.